Are you really going to read them again? We are once again collecting books for The Great Hive Book Rescue. 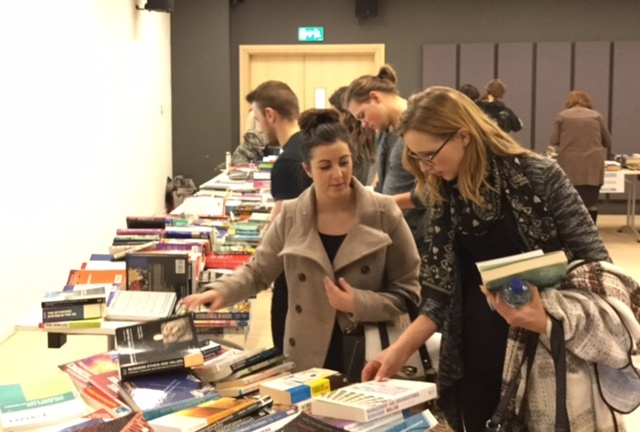 Last year we united over 2000 books with new owners and made over £1000 for charity, so please help us make this year’s event even more successful. To help us make the Book Rescue bigger and better please donate any books you no longer need. Textbooks, fiction, poetry, drama, recipe books, kids’ books, we’ll take anything. We’re collecting throughout the summer, so if you have anything you’re not going to read again, don’t lug it home or waste money on shipping. Send it our way for the benefit of next year’s students and our chosen charity. There are collection points in firstpoint, The Hive and Charles Hastings. You’re a star.